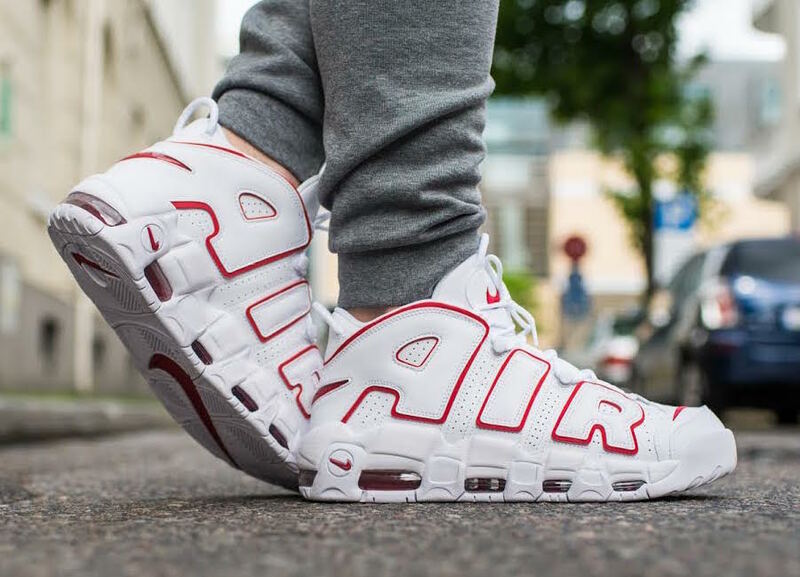 One of the most iconic Nike silhouettes ever, the Nike Air More Uptempo ’96 will be releasing in a White and Varsity Red color scheme. Released for the first time back in the 90s, the silhouette keeps up with that totally retro vibe, mostly due to that vibrant huge ‘Air’ branding on the side. Forever associated with the one and only Scottie Pippen, the Nike Uptempo is a shoe everybody deserves to be a part of any decent collection. Look for the Nike Air More Uptempo “Varsity Red” to release on May 24th at select Nike Sportswear retailers like Kicks Store as well as Nike.com. The retail price tag is set at $160 USD.